Some people reported an annoying problem of Windows 8 bumping into Back screen after it boots because of an error without any message or problem description. This is probably an issue with incompatible software update or because of a corruption of device drivers. The presented step by step guide is possible if you can boot into safe mode. The problem is that Windows 8 is not booting into safe mode in an ordinary usual way and you might need a Windows 8 installation DVD. The windows registry is an integer part of the Windows OS. 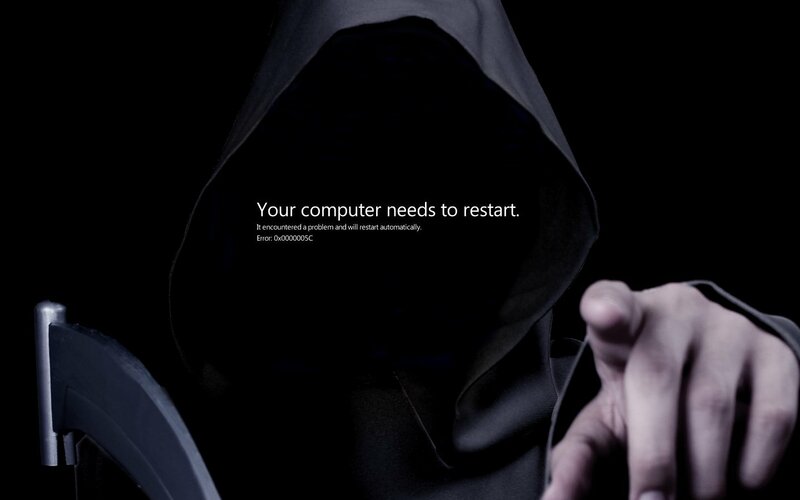 An error in the registry can cause BSOD or unexpected behavior. Therefore, it is recommended to use a professional registry cleaner to avoid damage to the system. Search for exclamation marks or the driver that you think is corrupted. Restart the Computer into Normal Mode. Windows should find the correct driver automatically. Once you remove the problem you should be able to boot normally. Before installing any updates, please, make sure that they are compatible with your hardware and OS Version. This article was published in Tips and was tagged BSOD Windows 8, fix black screen of death in windows 8. Bookmark the permalink for later reference by pressing CTRL+D on your keyboard.